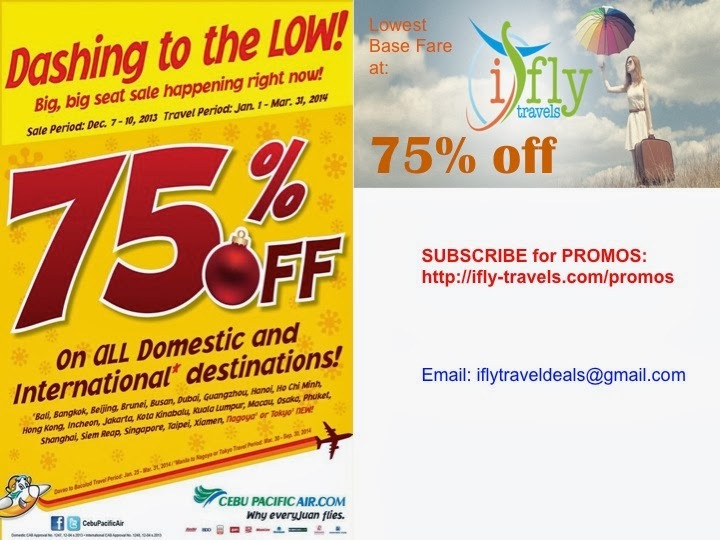 Cebu Pacific Promo Fares 2019 to 2020: 75% Off Seat Sale! Cebu Pacific Promo Fares: Dashing to the Low! Big, bgi #CEBseatsalehappening right now! #CEBseatsale! Selling Period: Up to December 10, 2013 or until seats last. manila to butuan how much with 75% dscount?.